Alaska, Colorado, Washington, Oregon and the District of Columbia have "legalized" the recreational use of marijuana. However, the sale and use of marijuana is still against federal law. As a result, commercial landlords continue to face challenges in fully analyzing the risks associated with entering into leases with tenants engaged in state-licensed marijuana businesses at the same time that the number of such potential tenants is likely to dramatically increase as a result of the passage of Measure 91. The Department of Justice has now issued two memos to the U.S. Attorneys providing guidance with respect to its marijuana enforcement priorities. The first was issued on Aug. 29, 2013, and essentially states that the DOJ does not currently place a high priority on enforcement actions against recreational users. The second memo, issued Feb. 14, 2014, focused on financial institutions and their interactions with marijuana-related businesses. It was issued simultaneously with guidance from the Department of Treasury's Financial Crimes Enforcement Network and was intended to provide some clarity to financial institutions regarding what the Bank Secrecy Act requires financial institutions to do when providing services to marijuana-related businesses. It is clear from reading both of the DOJ memos and the Treasury memo that a marijuana-related business' compliance with state law is not the end of the analysis in determining whether the federal authorities will choose to prosecute or bring civil actions against a marijuana-related business and those interacting with such a business. The Treasury memo, in particular, lists a number of factors a financial institution must analyze in its due diligence prior to banking a marijuana-related business. In addition to compliance with state licensing laws, those factors include, "ongoing monitoring of publicly available sources for adverse information about the business and related parties . . . ongoing monitoring for suspicious activity . . . and . . . refreshing information obtained as part of customer due diligence on a periodic basis and commensurate with the risk." The Treasury memo further states: "As part of its customer due diligence, a financial institution should consider whether a marijuana-related business implicates one of the [August 2013 DOJ] Memo priorities or violates state law." The priorities set forth in the DOJ's original memo include, among other things, the following: preventing the distribution of marijuana to minors; preventing revenue from the sale of marijuana from going to criminal enterprises, gangs, and cartels; preventing the diversion of marijuana from states where it is legal under state law in some form to other states; and preventing state-authorized marijuana activity from being used as a cover or pretext for the trafficking of other illegal drugs or other illegal activity. Landlords may encounter difficulty in determining whether the DOJ might decide that one or more of these enforcement priorities has been tripped by a marijuana-related business tenant. Furthermore, unlike federal laws and regulations, the memos are clear that they are not binding, and they are subject to change on the whim of their respective department. Lawyers cannot advise clients to engage in conduct that is illegal. As mentioned, the sale and use of marijuana is still against federal law. Thus, the landlord may have difficulty getting competent legal counsel willing to provide advice on such matters even if the Oregon State Bar follows the lead of the Colorado Supreme Court and confirms that a lawyer may ethically provide advice in such circumstances. Many lawyers have concerns that providing advice, with respect to marijuana-related businesses, could still be determined to constitute aiding and abetting the commission of a federal crime in certain circumstances. Similarly, existing federal regulations allow for a civil forfeiture action to be brought against property used in a state-regulated marijuana operation. If one of the eight priorities of DOJ are implicated with respect to a marijuana-related business, a civil forfeiture can still be brought without showing that a violation of state law has occurred. The risk for landlords only gets worse when a Colorado Bankruptcy Court's decision (In re Rent-Rite Super Kegs West Ltd.) is considered. In that case, a creditor's motion to dismiss a Chapter 11 case of a debtor which owned a warehouse used partially by a tenant that cultivated medical marijuana was granted because the tenant's use was an ongoing violation of the Federal Controlled Substances Act even though the tenant was in compliance with Colorado state law. The court determined it could not permit the landlord to "utilize the shelter of the Bankruptcy Code while continuing its unlawful practice of leasing space to those who are engaged in the business of cultivating a Schedule I controlled substance." Many of my lending clients have chosen to strengthen their loan documents to make it clear that marijuana-related businesses are not permitted, and that such a use would constitute a default under the loan documents. Affirmatively, consenting to such federally illegal activity could put a lender in a difficult situation with their regulators. It is worth noting that the Treasury guidance was focused almost exclusively on taking deposits from marijuana-related businesses and not on lending money to them or their landlords, which still presents a risk of collateral being seized by federal authorities. This means that a landlord may find it difficult to seek financing for a building with a marijuana tenant or may find itself in breach of its loan documents by leasing to such a tenant. In short, the risks presented to landlords in connection with leasing their premises to marijuana-related businesses are significant and there is a lack of clear guidance on how those risks can be minimized. Until there is a change in federal law, the best landlords can hope for is further guidance from the Department of Justice to address their unique concerns. 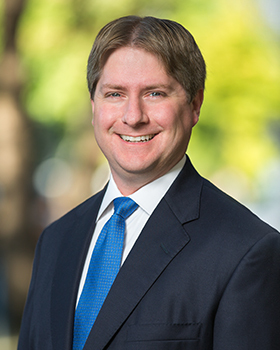 Victor Roehm is a Partner at Sussman Shank LLP in the Business Practice Area and is Chair of the Banking and Finance group.